The figurative language of Wesley Morris…. I like to share interesting pieces of figurative language I encounter in my reading. I write today about a series of metaphors from Wesley Morris…. In a Nov. 15/18 New York Times piece headlined: Aretha Franklin Didn’t Want You to See This Movie. 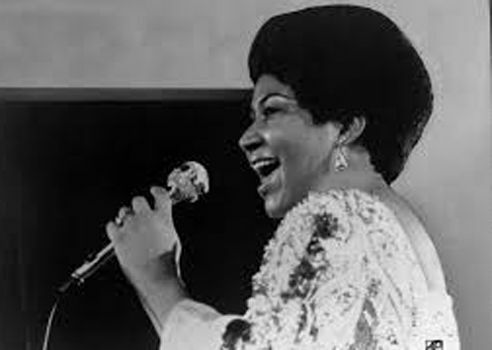 But You Must, writer Wesley Morris, makes a convincing case for seeing the documentary about her 1972 “Amazing Grace” show. As well as making a persuasive argument, he also employs some powerful figurative language. The editing challenge here appears to have been enviable: a haystack with an abundance of needles. An Afro crowns her head for both. She wasn’t just at the height of her vocal powers on those two days. She was at the apex of her musical imagination. You know it from the opening number, which turns Marvin Gaye’s year-old “Wholy Holy” into a hymn of fervor and stardust. [On the album] You can’t see how, when Franklin’s singing blasts through the rafters during the title number, the choir leaps up and loses it, the way the bench explodes after a basketball player invents a sick dunk or the dugout swarms the field after a particularly opportune grand slam. I have never liked the expression “everybody is a star.” Everybody isn’t. I’ll make an exception for this movie, though, because everybody in it is — from the gospel powerhouse (and seasoned ham) the Rev. James Cleveland to the hypnotically inscrutable front-row reactions of Franklin’s idol, the gospel god Clara Ward, to the folks in the aisles who don’t just cut a rug, they make a whole rug salad. Both nights, she’s covered in perspiration. Yet so strong are her sublimation abilities that the beads of sweat appear to bejewel her.